WASHINGTON—Standing firm in his commitment to one of the nation’s guiding principles, Attorney General Jeff Sessions went on record Wednesday vowing to protect the deeply held religious bigotry of all Americans. 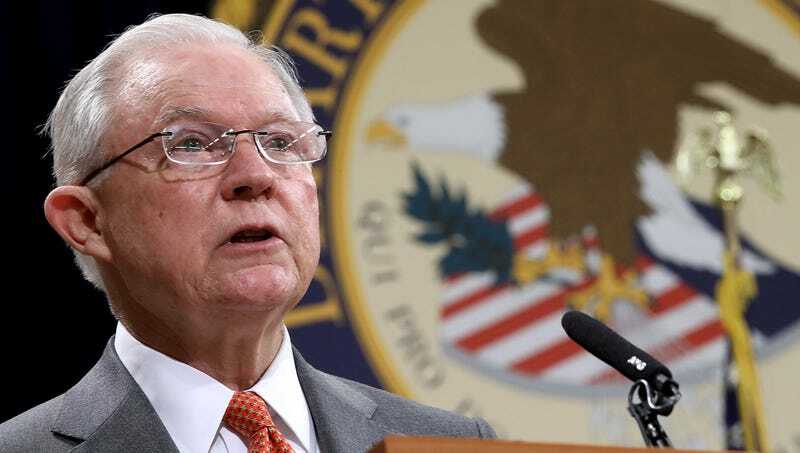 “Dating back to colonial times, America has been a place where individuals are free to live in accordance with their own personal prejudices, and I’m dedicated to ensuring our people retain the right to discriminate against others based upon their religion,” said Sessions, condemning what he described as secular trends within society that threaten the freedom to treat people as second-class citizens if they adhere to a different faith or no faith at all. “I was raised in a devoutly intolerant household, so I understand the importance of being allowed to hate in whatever way one sees fit. To me, that’s what being an American is all about.” In his closing remarks, Sessions warned that surrendering the right to discriminate according to religion could be the start of a slippery slope that ends with Americans losing their sacred right to discriminate according to gender, sexual orientation, or even race.